Benjamin F Calvert III. Josh's Rocks. Woodblock relief print. 18"H x 24"W. 2017. 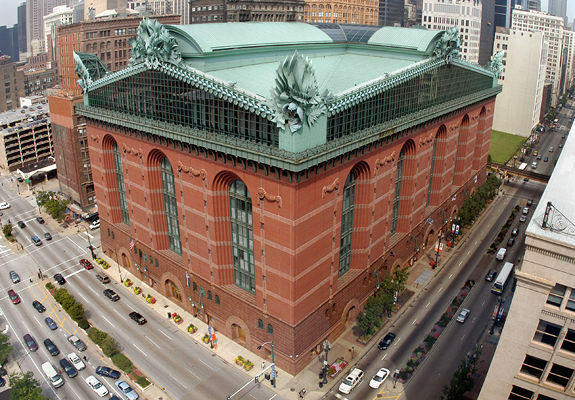 I SPI: Source, Process, Image, woodblock relief prints by Benjamin F Calvert III, is on display November 9 to January 13 at Harold Washington Library Center, in the 8th floor exhibit cases. Benjamin F Calvert III is a third-generation printmaker. His prints are influenced by nature and life experiences. The process of woodblock relief printmaking is meditative. The resultant images are reflective of the source. The behind-the-scenes process is a stark contrast to today's fast-paced environment. 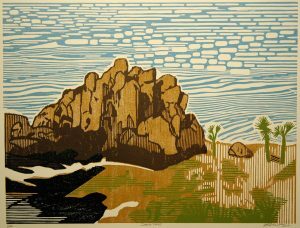 The medium requires patience, especially because Calvert's prints are hand-carved and hand-printed using oil-based inks. Calvert shares his sources—wood blocks, tools and prints—in this exhibit. Calvert grew up in Naperville and now lives and has his studio in Villa Park. He received his bachelor of arts from Knox College and master's of business administration from Drake University.